Are you in need of expert Blaine heating services? Get in touch with the trusted professionals at Eagle Plumbing & Heating. Call us today at (360) 318-9999. Click here to save on several of our valued services. The skilled professionals at Eagle Plumbing & Heating are committed to helping you and your family to stay warm throughout the harsh winter months with our specialized heating services. We provide our valued customers throughout Blaine and the surrounding areas with affordable maintenance, repair, and installation services in order to ensure the continued efficiency of your system. If you are having an issue with your heating system or want to schedule a maintenance visit before the colder months roll in, our experienced professionals are waiting for your call. 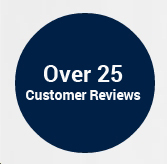 For reviews and testimonials from other customers in your area, click here. How long does a heater usually last? Most heating systems are likely to provide homeowners with efficient use for approximately 15 to 20 years. However, with proper care, regularly scheduled maintenance visits, and timely repairs from the professionals at Eagle Plumbing & Heating you can extend the life of your unit considerably. Still, there will eventually come a time when your heating system needs to be replaced. As units age they begin to require more frequent repairs and start to use up more energy in order to meet their standard heating requirements, when this is this case it is likely best to have a new heater installed. Some homeowners will even decide to replace their system early to benefit from a more energy efficient model. Our certified heating professionals are always willing to discuss your options with you in order to help you make a more informed decision. What are some benefits of regular maintenance? At Eagle Plumbing & Heating we are committed to assisting our customers with all aspects of heating system maintenance. Through this service, the components will be thoroughly cleaned, and some components may be replaced as needed. This is a service that is intended to boost the efficiency of your system. Proper maintenance will also help to improve indoor air quality and minimize the need for repairs as the system ages. Finally, regular maintenance can extend the life of your system, providing you with several more years of use in some cases. Generally, maintenance service is recommended on most models before you turn the system on for the first time each season. However, the service can be performed at any time of year. What are signs that your furnace is in need of repair or replacement services? There are several signs that you may notice which indicate the need to contact our office for repair or replacement services for your furnace. If you have an older model that seems to be experiencing more frequent issues, this is a sign that may need to have your unit replaced with a newer and more efficient system. If your furnace is not keeping your home as warm as you would like or if it appears to be running more frequently than usual, you can request an inspection of your system. Our knowledgeable heating specialists can determine if the issue is being caused by a malfunctioning thermostat, a faulty connection, or a broken component, so we can make the essential repairs. In situations where the problem is more severe we can replace a part inside your unit or install a brand-new system when necessary. For proficient heating services in Blaine and the surrounding areas, contact the certified professionals at Eagle Plumbing & Heating. Call us today at (360) 318-9999.